Sinusitis is also called rhinosinusitis, sinus disease or sinus infection. It can be either acute or chronic. Acute means the symptoms are short-term, and in sinusitis this means for less than 12 weeks. If your sinusitis lasts for 12 weeks or more we call it chronic sinusitis (chronic means long-term). Acute sinusitis and chronic sinusitis are caused by different things and are treated quite differently. Acute sinusitis is very common and usually happens during or after a cold. 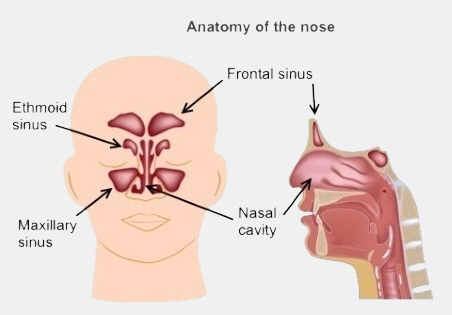 People with acute sinusitis have a blocked or runny nose, pain in their face and sometimes a headache. In adults it often affects their sense of smell and children often have a cough as well. There are different types of acute sinusitis and they have different treatments. You can get many of these treatments from a pharmacy without needing a doctor's prescription. This happens when you have a cold. It is caused by a type of germ called a virus and lasts for less than 10 days. There are some things you can do at home to improve your symptoms. These include using a nasal saline rinse, nasal decongestants and pain relief such as paracetamol or ibuprofen. You can get all of these from a pharmacy. After a viral infection it takes time for the inflammation in your nose and sinuses to settle down. For some people, it can take up to 12 weeks. This is called post-viral sinusitis. Adding a nasal steroid spray to your treatment can help this. It can take two to three days for the steroid spray to work fully. you to get much more unwell, even though you had previously been getting better. Treatment for this is the same as for an acute viral sinus infection, plus you may need antibiotics. You can only get antibiotics with a prescription from your doctor. People with chronic sinusitis have a blocked or runny nose, and pain or a feeling of pressure in their face. As well, adults often lose their sense of smell and children often have a cough. Most chronic sinusitis is caused by inflammation in your nose and sinuses, rather than infections. Your sinuses are sensitive and can take months to settle down, even with treatment. Some people need ongoing treatment. Chronic sinusitis can be caused by hay fever, asthma, or allergies. People who smoke or have a poor immune system are more likely to get it. Sometimes it can follow an acute sinus infection. Sometimes it can cause polyps (or growths) inside your nose and sinuses. You can help reduce your symptoms by stopping smoking, treating your hay fever, treating your asthma, reducing any irritants or pollutants in your environment, and treating any dental infections. take longer courses of antibiotics. You may need to use nasal sprays or saline rinses long-term. If you do, make sure you regularly see your doctor to check how treatment is working and whether they recommend something else. 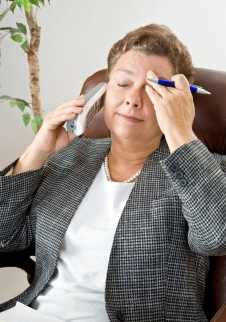 If your treatment isn't working, your GP may refer you to see a specialist. A specialist may suggest you have a CT scan to look at your sinuses, or they might examine your sinuses by passing a tube through your nose. If they find you have polyps, they may recommend you take a course of oral steroids. They can then decide if surgery is likely help or not. Surgery is usually done with an endoscope. This means the surgeon works through a fine tube (the endoscope) passed up through your nose while you are asleep under a general anaesthetic. If there are any blocked passages or openings in your sinuses then the surgeon can open these up or remove any polyps. Sometimes the bones in your nose might need to be straightened if they are causing problems. Surgery can remove any polyps and help your sinuses to drain better. However, it is important to continue using long-term nasal saline rinse and nasal steroids or your symptoms will come back. Information about acute sinusitis, how you can relieve your symptoms and when to see a doctor.